Looking for the most advanced chemical facial peels in the Horseheads and Elmira, NY area? AgeLess Integrative Medical Spa offers one of the widest, most comprehensive arrays of facial peels in the twin tiers area. Our Facial Peels are listed in order of their strength, from starter peels to very active peels. Please note, our Estheticians will determine the strength in which to start with, based off your skincare consultation. AgeLess SPA offers complimentary skincare consultations before any skincare service to ensure the best results for your skin type. See our Facial Peel offerings below. One of our starter peels, this non-chemical peel naturally re-balances, regenerates and restores your skin using a blend of papaya, pineapple, and mango, and organic ingredients with medical effectiveness. Designed with Vitamin C, Alpha and Beta Hydroxy Acids, and gentle yet effective enzymes help speed up cellular turnover by lightening, tightening and brightening all skin types, even Rosacea and sensitive skin. This is a great treatment for almost any skin type! If Acne is effecting your skin, has left scaring, or continues to cause you frustration, this blend of Alpha-Hydroxy Acids and Beta Hydroxy Acids with anti-inflammatory agents to effectively treat all types of acne. Annoyed with stubborn fine lines and wrinkles? This ultra-resurfacing glycolic and retinol blend visibly reduces their appearance and helps to regenerate cellular renewal under the skin. Many of us have concerns with the evenness of our skin tones. This peel is designed with Lactic and Kojic acids that are blended with a cocktail of lightening agents to reduce all forms of pigmentation to create a brighter and more even skin tone. The highest intensity peel from IMAGE Skincare®, this blend of Alpha and Beta Hydroxy Acids and retinol are combined with powerful antioxidants, correcting peptides and plant derived stem cells to create “perfection”when treating advanced pigmentation, acne, and aging conditions. Please note, this is not a starter peel and is one that needs to be worked up to, through the other peel styles listed above. The Perfection Lift treatment results in a substantial amount of peeling and flaking. Day one into day two skin is tight and shiny. Day two skin will become reddish brown in color due to pigment lifting. Days three, four and five peeling will occur. Day six, skin begins healing. Enhance your eyes using a semi-permanent color to darken your gray or fair eyelashes and eyebrows. Lash lifting is a great alternative to eyelash extensions for those clients who have sensitivities or already have the length but just want their lashes lifted. This low maintenance service lifts your natural lashes using a perming solution specifically formulated for the delicate eye area against a silicone pad. You will be left with a more awake, youthful appearance lasting 6-8 weeks. Venus Velocity Laser Hair Removal Service is available. Inquire within. Restore hydration and beauty to your skin. Shield it with antioxidant protection, with one cooling, soothing, refreshing and renewing treatment. Non-invasive skin rejuvenation; painless extraction; immediate results; no discomfort. The only hydradermabrasion procedure that combines cleansing, exfoliation, extraction, hydration and antioxidant protection simultaneously. 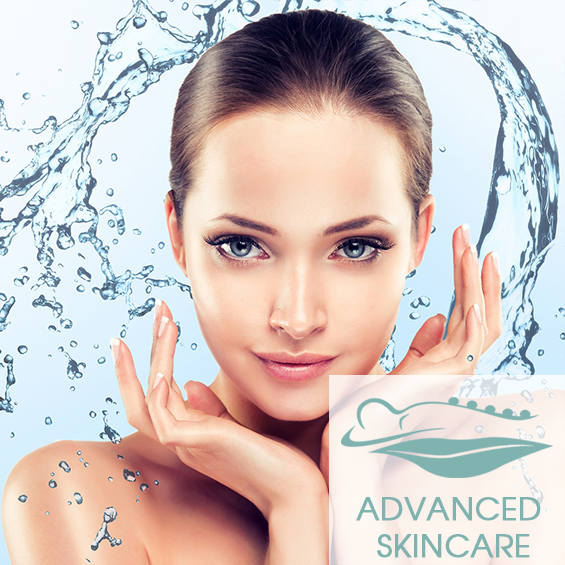 The hydrafacial is a non-invasive resurfacing treatment that removes dead skin cells and extracts impurities while simultaneously bathing the new skin with cleansing, hydrating, and antioxidant serums. Crystal free microdermabrasion-This is a treatment to help slough away the dead skin on the outer layer to expose fresher, more youthful skin. It helps soften fine lines and addresses textural concerns. This treatment begins with a numbing cream that is applied prior to getting started. Once numb, your provider will then use the MD Needle Pen to make even passes across the treatment area, at a depth in which your provider feels is appropriate. After the entire treatment area has been needled, a serum and hyaluronic acid are applied as enhancers to assist with healing of your treatment. For complete information as well as Microneedling pricing and options, please see our Microneedling page.